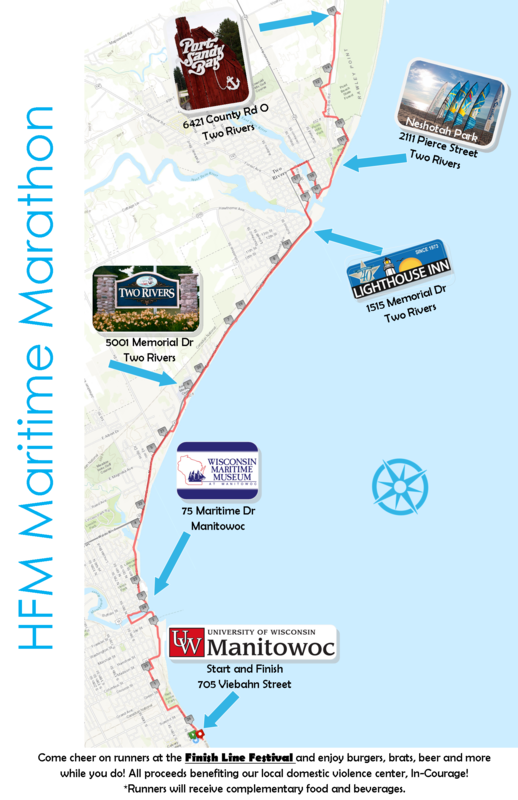 Besides the start/finish area at UW-Manitowoc and the turn-around at Port Sandy Bay Pizza, the course passes several parks, as well as five scenic overlooks of Lake Michigan along the Mariners Trail, which runs between Manitowoc and Two Rivers. After your picturesque finish on the shores of Lake Michigan, items will be available to start your recovery off right. Food and beverages will include brats, burgers, ice cream, water, gatorade, and of course, beer. Free for runners and available for purchase by spectators!